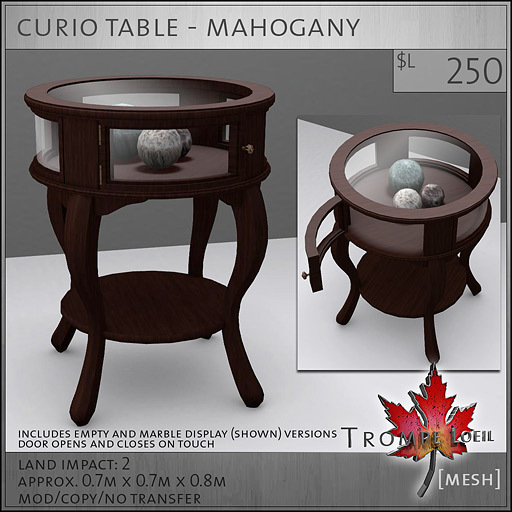 We’re offering a little decor item for FAIR this month – a classy and functional Curio Table, in Mahogany or Poplar, with working door, and empty and marble decor item versions included – and its only 2 prims! Just click the front facing door to open and close. 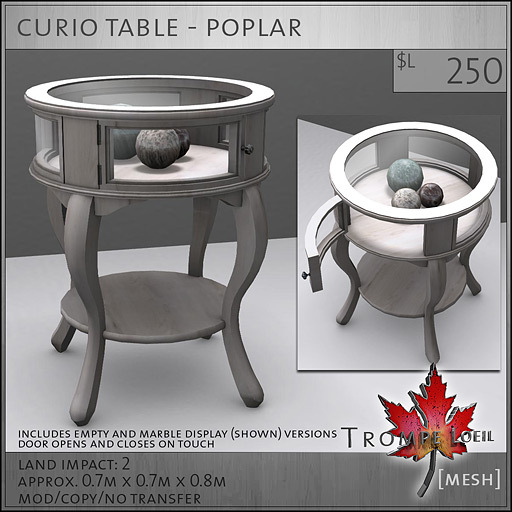 Use your own items for display, or start out with the included marble sphere decor version – both types are only 2 prims! Grab these exclusively at FAIR this November – opens today at 7PM SLT!